“It’s clear a change will come,” said Adam Silver, Commissioner of the NBA. 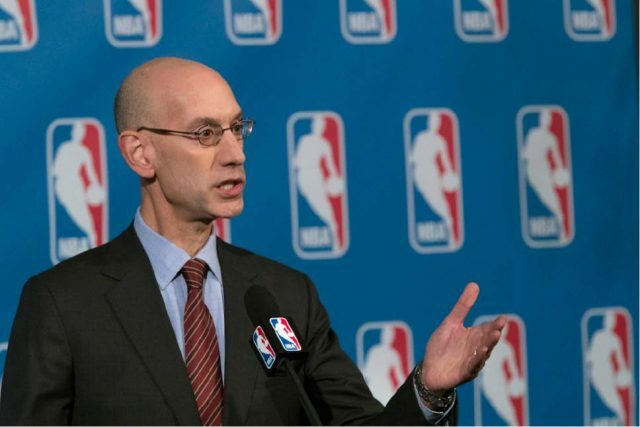 This week Silver suggested that there will be a sea change regarding NBA’s highly controversial one-and-done rule. The rule prohibits players from declaring for the NBA until they are 19 and at least one year removed from high school. Since its implementation at the 2006 draft, it has forced players to either play in the NCAA or overseas before declaring for the NBA draft. The one-and-done rule has been under scrutiny from fans and prospects from day one. Many of its critics view the rule as a way for the NCAA to earn more revenue. 2017 No.1 draft pick Ben Simmons wasn’t shy on his thoughts about the NCAA, saying that the rule is “messed up” and that “the players get nothing.” While the players are certainly offered an education, they lose a year of monetary gain they could be getting if they were eligible for the NBA out of high school. It’s hard to silence these players and critics when the NCAA brought in a whopping $871.6 million in 2012. So, what’s next? Critics agree that the one-and done rule has to go. But, like any other major change, it’s going to take time. Opponents of the rule cite several suggestions to the rule, such as implementing a system similar to Major League Baseball where players have the choice to be drafted straight out of high school or commit to three years of college development. Others suggest that prospects be able to be drafted right out of high school and commit to one year in the NBA’s development G-league. No matter the choice, the controversial topic will be squawked about by pundits until a change is made. Alexander J. White is an undergraduate student at York College of Pennsylvania, studying professional writing.